Symbiosis – intimate and persistent interaction between two or more distinct biological entities – has historically received less attention than other interactions such as predation or competition, but is increasingly recognized as one of the key selective forces in evolution. Most species from across the tree of life have been shaped by a long history of interdependent co-evolution, from the bacterial endosymbionts that provide insects with vital nutrients to the mitochondria that power our own cells. This Workshop will address the origin, maintenance, and long-term implications of symbiosis among microbes from the complementary perspectives of cell biology, ecology, evolution and genomics in both model and non-model organisms. In recent years, symbiosis has gained recognition as one of the most important evolutionary processes shaping biodiversity throughout the history of life on Earth. Symbiosis ranges from metabolic and defensive interactions among free-living microbes through cellular and genomic integration to the origins of mitochondria and chloroplasts. As such, it provides an unparalleled route to evolutionary innovation that has driven many of the key transitions in the history of life. Now is the ideal time for a multidisciplinary meeting on symbiosis research, which is currently experiencing unprecedented progress due to a wide range of recent methodological breakthroughs. Next-generation sequencing, including techniques for reconstructing genomes from single cells or environmental samples, has greatly improved our sampling of natural symbiotic diversity and our understanding of interactions among and between microbes in the wild. This flood of new data has been complemented by proteomics and new experimental techniques such as nano-SIMS technologies (which enable intra-cellular measurement of molecular and metabolic flux), and transfection systems for the genetic manipulation of a wider range of organisms. Collectively, these developments have opened up entirely new lines of research for biologists interested in symbiosis, for the first time bringing both classical and emerging questions into the realm of tractable science. This growth of activity, as well as the fundamental importance of the topic to many areas of biology, is reflected by the rapidly expanding literature on the subject (over 1,000 publications in 2014 alone) including a series of recent, high profile publications by our organisers and participants (see below). Current research is proceeding on multiple fronts – from microbial ecologists studying the interactions among present-day prokaryotic consortia to cell biologists and evolutionists who are investigating the long-term impacts of symbiosis on cellular integration and genome evolution. In fact, the breadth of approaches and perspectives could be a key strength in this field of research if communication was improved between researchers that are approaching these questions from different angles. The aim of our proposal is to unite leaders and promising early career researchers from each of these disciplines with the overarching objective to forge a much-needed synthesis on the cellular, ecological, evolutionary and even theoretical/philosophical aspects of symbiosis and its role and importance in the evolution of life on Earth. This synthesis will aim to highlight points of consensus and underlying connections between these different fields, but also to identify aspects where future efforts of multidisciplinary work should best be focused on. Our overall goal is not only to stimulate fruitful discussions, future collaborations, and to establish an integrative framework for research in all these fields but also to identify the most important contemporary questions in the field of symbiotic research, which can only be tackled by the combination of different tools, approaches and expertise. We offer around 10 funded places for early-career researchers to attend our Workshops along with the 20 speakers. We just ask that you pay for your own travel costs. If you would like to attend please complete the application form and attach a one page CV and a letter of support from your supervisor. All attendees are expected to actively contribute to the Workshops by asking questions at presentation sessions and taking part in discussions. 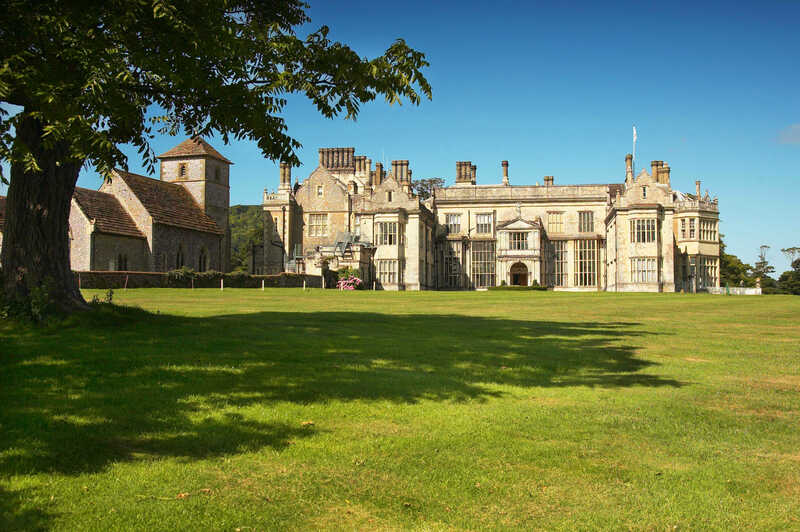 The Workshops will be held at the beautiful Wiston House, which is a 16th century Grade I listed building located at the foot of the South Downs in West Sussex. The house is surrounded by over 6,000 acres of parkland with magnificent views from the mile-long drive. Wiston House is the home of Wilton Park, one of the world’s leading centres for the discussion of key international policy issues. Wilton Park was created in 1946 to help re-establish peace and democracy in Europe as part of an initiative inspired by Winston Churchill. Wiston House has an amazing history and appears in the Domesday Book, the register of English possessions made by William the Conqueror in 1086, 20 years after he won the Battle of Hastings.